Now that you’ve gotten to know all of the San Francisco bartenders you need to... know, it’s high time you familiarized yourself with some of the best shakers and stirrers on the sunny side of the Bay. 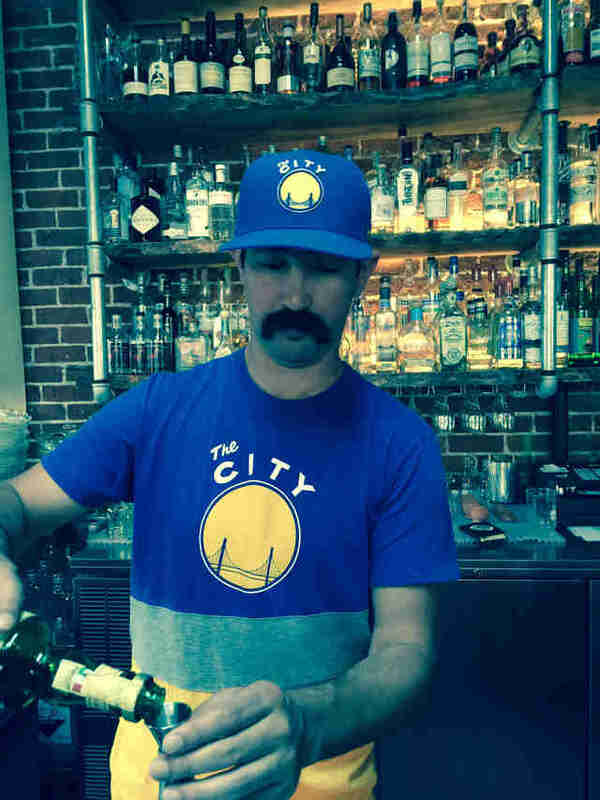 Here are 13 amazing East Bay bartenders you should know by name (especially if you need another reason to escape SF's ridic rents). It may look like a diner, but this spot has serious street cred when it comes to its food and cocktails, earning it a recommendation from Michelin this year. GM and bar manager Jenny Schwartz is one half of the operation behind this delightful American-Japanese fusion restaurant. Find her working the room or infusing cocktails with Japanese sensibilities and flavors in creative ways. Owner and Bourbon & Branch alum Ali Tahsini isn’t just the mastermind behind the drink menu -- he also built the bar by hand, from pouring the cement floor to installing the plumbing to crafting the beautiful wood details and wainscoting that line the walls. And yeah, his craftsmanship makes for a casually elegant setting, but you're here for the craft cocktails, best enjoyed on the back patio under three majestic redwood trees. If you’re still mourning the loss of the menu-less BIG in San Francisco, Oakland native Alex Condé can satisfy your craving for something new and unexpected on Sundays when he’s slinging Dealer’s Choice cocktails at this bi-level industrial space. 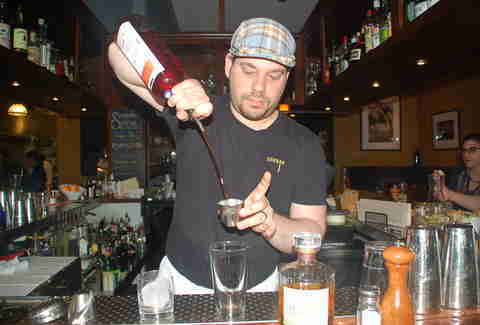 Alex is a master improviser, known in bartending circles for his genius-level understanding of the palate. But you don’t have to cross the Bay to catch him (although this spacious neighborhood bar with $10 craft cocktails is probably the place you do want to) -- you can also find him behind Benjamin Cooper’s bar. Signature cocktail: Dealer’s Choice. He’ll deliver something awesome and personally catered to you (we’re pretty sure he has drink-specific telepathy), but he’s partial to inversions and often uses vermouth and aromatized wines in the place of traditional fortified spirits. We’ve already sung Tupper & Reed’s praises for its gorgeous space and Bourbon & Branch-level cocktails (for $10 or less! ), but another reason to stop into this historic, beautiful bar is for Justin D’Olier’s hospitality. Not only knowledgeable about the space, he’s a crazy ball of energy, as hilarious as he is skillful with a cocktail shaker. You can tell a bar has its priorities straight when the drink menu is held in a leather-bound book, while food is relegated to a single paper. And while, yeah, the simple Indian street food that's served is worth ordering on its own, it's more worth pairing with any of the cocktails on the menu, all inspired by the spice trade. 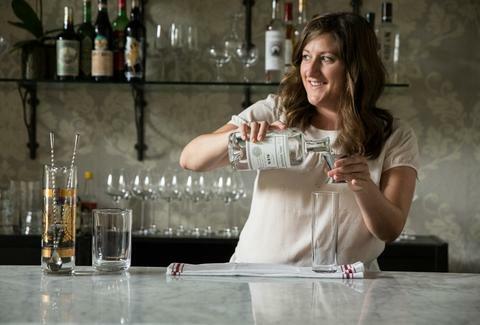 The fun, engaging Nikki, who’s meticulously working her way through each spirit to learn its intricacies and possibilities, can whip you up a day drinking-friendly daiquiri or the kind of Scotch-heavy drink that’ll put hair on your chest. Signature cocktail: Rob Roy (at least right now). It's basically a Manhattan with Scotch, which creates a smooth, smoky, uber-masculine cocktail your grandfather would no doubt approve of. 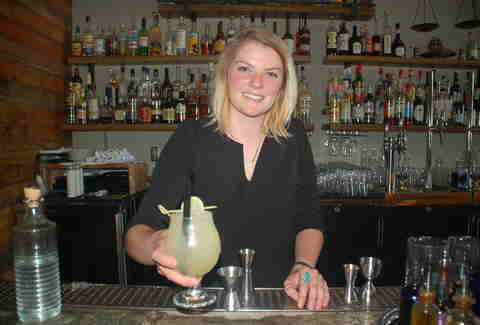 What she loves about Oakland: “I love how passionate people are about food and drink. There’s so much opportunity here, but it’s not exclusive. There’s a ton of creativity, enthusiasm, and community. And I love the nerdy aspect of it." In keeping with the urban garden theme of this five-month-old restaurant, Polina Kharnas serves up fresh, floral cocktails that are downright nourishing, if not arguably healthy... you know, if it weren’t for the booze. Case in point: the Michael’s Pollen, featuring rye, local ginger honey, bee pollen, organic lemon/apple, and allspice dram. It's got all those rejuvenating, feel-good ingredients, plus it’ll give you a nice hard-to-balance feeling, too. Lexi’s fast-expanding Oakland empire consists of basically every place you want to be. She’s behind Dogwood, its new sister bar Darling’s Elixirs next door, the incredible-sandwich-making Stag's Lunchette, and a forthcoming bar set to open in Piedmont, called The Lodge. In other words, she’s the damn queen of the East Bay. Signature cocktail: A current favorite at Dogwood is the The Valencia, a sort of adult Orange Julius featuring Rusty Blade aged gin, orange/lemon juice, egg white, vanilla honey syrup, shaved ice, and big strip of orange zest. 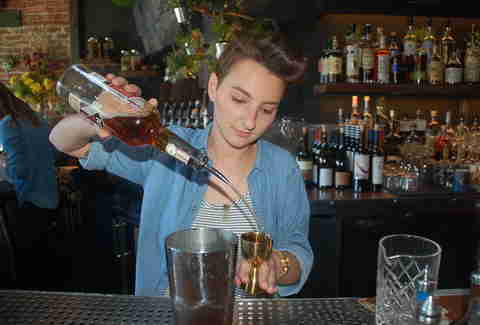 Vita has been honing her craft for the last 11 years at some of the best bars in the Bay Area (and the country), keeping her in high demand at the likes of Dogwood, Prizefighter, and SF’s Benjamin Cooper. Her own concoctions are creative, fresh, and subtly medicinal, but she’s a whiz at the classics too (literally the best Negroni I’ve ever had... and I’m kind of an expert). Soon you’ll be able to catch her at her own spot, as she’s currently working on transforming and revitalizing the mid-century classic Art’s Crab Shack into Copper Spoon Cocktails & Kitchen, set to open later this year. Matt Harrison, formerly of the Ramen Shop, recently took over the bar program at Penrose and is steadily making his mark with new Tiki-inspired drinks and other concoctions that match the airy, open space and day-drinking season. Signature cocktail: Roadrunner, a gorgeous culmination of long-lost Tiki culture and new flavors, featuring Fidencio mezcal, Campari, pineapple juice, lime, and agave, with an orange wheel. Ask any Bay Area bartender where they like to drink and they’ll likely name this Emeryville gem for its world-class cocktails (and beer) and low-key vibe. While the sunny, dog-friendly patio definitely helped earn it a spot on our list of the Best Bars in California, what keeps this bar so loved are the badass 'tenders who can satisfy even the most refined tastes of fellow drink slingers. 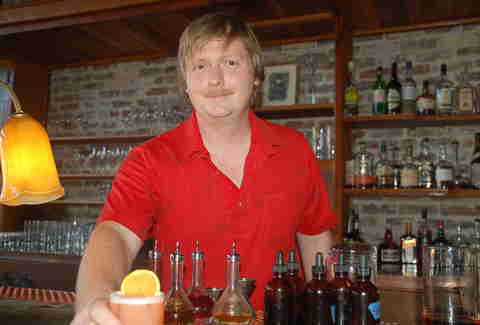 Case in point: one of the spot’s original bartenders, Patrick Brennan. Signature cocktail: El Diablo, created with owner Jon Santer, featuring mezcal, tequila, ginger beer, and lime on crushed ice. It's perfect for a warm summer day on the patio. Flora and its sister bar, Fauna, are worth the trip purely for the Art Deco beauty, which’ll transport you to a bygone era. 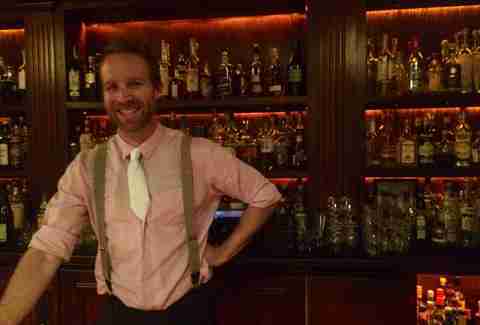 The other thing that will serve as a time machine: head barman Matty McGee’s amazing cocktails (his Ramos Gin Fizz would have delighted Herb Caen). Matty generously shares his cocktail knowledge with the masses in regular cocktail classes held at Flora. Signature cocktail: Dutch Kill, from Dutch Kills in Long Island City, featuring Laird's Jersey Lightning un-aged apple brandy, Cynar, and Punt e Mes. Stirred and served up with a grapefruit peel. Having won accolades from The New York Times and San Francisco Magazine, Gather will get you in the door for simple farm-to-table fare that treats vegetables as a main course. But you’ll stay in the door when you also find out it also has superb drinks made with small batch libations and fresh ingredients. 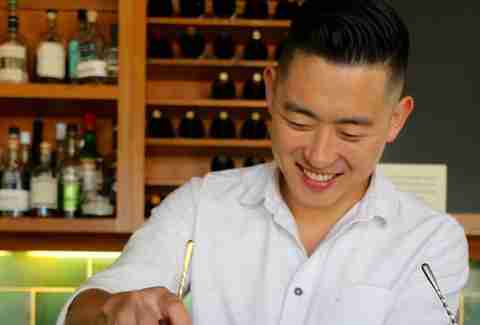 Daniel Sheel brings as much care to the cocktails as the chef does to the food -- and it shows. If you’re looking for a place to relax in a friendly, neighborhood spot, this lakefront restaurant and bar is where it’s at -- the square, copper-topped bar sits grandly in the center of the restaurant and facilitates easy conversation over hearty, reasonably priced meals. 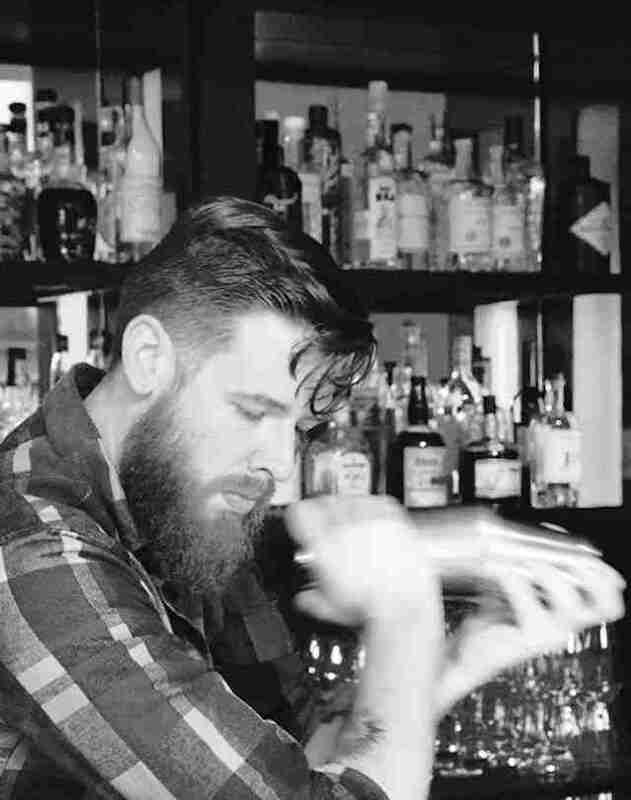 The bar is the main focus, however, thanks in large part to Jared’s flair for craftsmanship and outgoing presence. Signature cocktail: Caged Heat, a spicy whiskey sour made with a syrup Jared invented himself, with tamarind, cardamom, and ghost pepper. 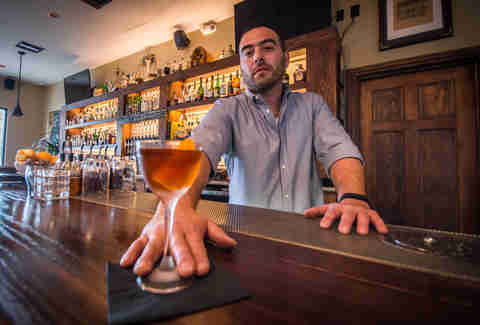 It’s become so popular at Sidebar and among other bartenders, that he’s started bottling and selling the spicy concoction all over town and in the city. 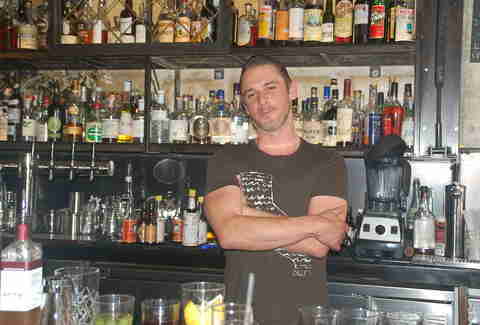 Where he drinks when he’s not working: “My favorite cocktail is the one I haven’t tried yet. I have twin babies so I'm not out a lot, but I love Prizefighter and visiting other bars in the neighborhood like Penrose." 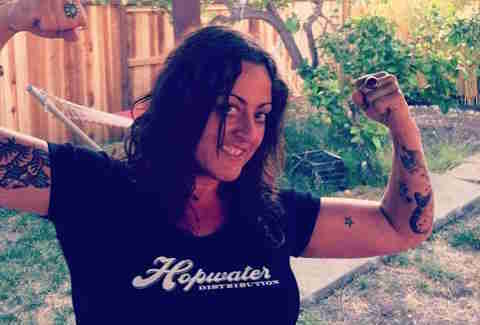 Amy Copperman is regular Thrillist contributor in San Francisco with growing Oakland envy. Make her even more jealous on Twitter at @acoppergirl.